I think your the man, your techniques have really help me put my business on eBay into perspective. As much as I’ve been reading, I haven’t managed to get my listing times down to 3-4 minutes….. I am still up between 5-20 minutes. I use Auctiva a lot, and I feel that might be the issue. and I also have apprehensive tendencies when taking my pictures, because as we all know the best pictures yield the best results. So I feel like I am taking too many pics…. How can I shorten my pic taking time while taking the best pics, really get my best category, write listing descriptions, do my ebay completed listings homework all in 4 minutes? It would be amazing if you could write an auction revolution newsletter on this, as I think everyone would love to hear it~! It seems to bottle neck my business, I am a consignment agent, and aside from getting clientele, my biggest problem is shortening my listing time…… any and all advice would be most appreciated~! Thank you sooo Much Dude~! Before I get started I HATE BEING CALLED DUDE. I won’t explain the reason for this dislike, and will just go on and answer Teddy’s questions. While this question seems to be about being more efficient when taking pictures I think it’s a little deeper than that. It’s about having an eBay selling system. Firstly, the expectation of doing everything needed to list an item on eBay in four minutes is a little optimistic. Last Friday I listed 10 auctions on eBay in 45 minutes. Or a little under 5 minutes per listing. That was a special case because everything I listed went into the same category and was similar in size and weight. Normally I spend about 2 hours writing auctions each week, and run 15-25 listings. This is an average of about six minutes per listing. Having an area set aside is important. I’ve seen people do eBay listings on kitchen tables, take pictures outside and then write the listings inside and even odder time wasting arrangements. If you can set aside an area just for listing on eBay, try to arrange your listing chores so you are working at adjacent stations. Time spent waling from one area to another is time wasted. The easier you make your system, the more likely you’ll get items listed. On the west side of the room I have an old steel desk I use to do repairs and store my tools. Beside it, there is a large table I spread items out on. The table is as high as my belly button so I don’t have to bend over when I am moving things around. After my listings end I use the table to pack items. The boxes and shipping supplies are stored under it, labels and stickers are stored on a shelf above the table. Once items are packed they go on a shelf above label shelf that runs along the whole wall. Large/heavy items go on the floor against the wall. On the table I group items by category and size. I take the biggest or heaviest items first because they need to go onto the bottom of my stack of listed items. A 5 foot walk across the room from the sorting table I have a high table set up with my lights and background for taking photos. Above the table is a shelf with props and other items I use to arrange items for my pictures. This means anything I need is right there in arm’s reach. I photograph each item and tag it with an inventory number and the number of pictures I took for the auction, then place it on a desk beside the photo table where my computer resides. I do a few items at a time before sitting down at the computer. The reason I do a few items is twofold. One, the lights I use get hot. By turning them on for a few minutes and then turning them off I reduce the heat in the room. Two, doing a few items at a time allows me to move things out of the way. The idea is to move an item as few times as needed. The flow is better, and I don’t have to work around other items. Looking at the room I think I move about 15 to 20 feet around the room while listing items. That’s in a circle. After I have 3 or 4 items on the computer table, I write the listings for that small group. Because every item has an inventory number and the number of images for the auction I only have to add the image numbers to my template and write a title and description. The individual images are derived from the inventory number. The gallery image is the inventory number, the other images are the inventory number with letters a, b, c, and so on as needed. I have templates set up in turbolister for the categories and shipping costs I use most often. The template has the initial image link in it and only needs the image number added. If there are multiple pictures I just paste the whole image code to a lower area of the template and add letters. At this point let me go back and talk about the pictures themselves. The only editing I do is cropping and resizing images and this is done in batches. I take pictures quickly and in the series I’ll use them in my listings. I rarely take more than one picture from each angle. Habit and consistency means I take good pictures the first time. If an image comes out poorly I take a second one. I almost never add text or graphics to my images. If you have a detail or defect you need to call attention to, by all means add an arrow or circle to the image to grab attention. But adding crap to images just because you can is a poor use of your time. Anyway back to my listing system. Once I’ve written the descriptions for the items on the computer table, I move the items across the room to the desk and bring back new items to photograph. I repeat the process a few times until everything I’m listing that week is done. THEN I put the camera’s card in the computer and crop the pictures, rename and resize them. When all the images are done, I FTP them all to the internet. Once the images are online I use turbolister’s preview feature to check each auction and make changes if needed. Then I upload the listings to eBay. Let me mention one other important factor. While it’s not important that you follow my eBay selling system to the letter, it is important to have a system. You don’t reinvent the process each week. You use a process that works, and evaluate it to find inefficiencies. I did a coaching session years ago and had client show me step by step how he listed items. His selling system was an absolute nightmare. He started out by dragging some folding tables in from his garage. Then he took pictures of one item. Five or six pictures from each angle. Then he carried the item he was listing and the camera into the room with his computer and looked at every image. In some cases he’d spend minutes selecting the image to use. I couldn’t see a difference between the two, but he had to have the best image. Then he cropped and edited his pictures. For some reason he used a program to move images from one folder on his computer to another. When I asked him about this he said he needed the images in a certain folder so his FTP program could send them up to the web. I showed him how to point the FTP program at the folder with his edited images and removed a step from his system. Then he wrote his auction description. Once he’d done all that he went back into the room he’d set up his tables in and took pictures of another item and repeated the process. He would work all day to list a dozen items. He spent about 45-50 minutes per auction. Now you might think this might be time well spent if his items sold for thousands of dollars, but the price doesn’t matter. Everything you sell should get the same attention because there are surely items you’ve underestimated the value. I did a consultation with someone else who used the eBay item numbers as his image numbers. This meant he listed an item and then went online and added his pictures. Can you say waste of time? Look at your eBay selling system and make sure you aren’t doing unneeded steps. 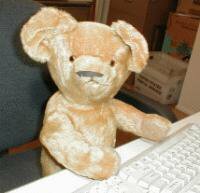 One other question Teddy brings up is selecting the right eBay category and doing completed auctions research. The only way to shorten these tasks is to specialize. If you’re not specializing in similar items, grouping similar items together makes it faster. I do my grouping as I buy items. This way I can save time on my listing chores, and I increase the chances of cross bidding driving up selling prices. This has become a long issue so I’ll end it here. The Auction Revolution contains a more detailed explanation of my eBay selling system. It also explains how I use inventory numbers and pictures to make things simpler. Did this answer your question? If not, try looking at the questions and answers within the General, Photos And Images category, or do a search for other questions.